Tired of new coffee spots yet? You actually may not even realize just how many we have. No matter how much the coffee scene grows I won’t complain. I’ve lived in a mainly Starbucks/Dunkin Donuts populated Orlando for far too long to gripe about an increase in independent coffee shops that create jobs and offer me more places to indulge my caffeine habit no matter what side of town I am on. However, I do continue to feel bad for my Apopka fam who continue to get overlooked despite coffee shop saturation in other areas. So here is my most up-to-date guide for Orlando and other major cities in Florida for your travels. There are almost 60 places on this list, and I still know that inevitably someone’s favorite won’t be on the list. I say to you, I’ll get there one day. What to know: One of the newest additions to our coffee scene is located downtown off of Magnolia Drive. I've personally found the easiest place to park is on Rosalind in the metered spaces and take a quick walk. Less craft cocktail more straight forward classic drinks at Deeply. For my full write up click here. What to know: This neighborhood coffee shop is located in a renovated home, with very minimal and clean decor. They are known for good drinks served with very cute desserts. It's a quiet place to hang out or work with ample parking with no pretentious baristas in sight. Find a full write up here. What to know: Many people visit because of the beautiful job the owners did with the design, but make no mistake, the drinks are delicious. They have easily become known for their craft cocktail menu, attention to detail down to garnishes, and welcoming atmosphere. They also have one of the BEST vanilla chai drinks you are going to find in town. You can park behind the building or in the metered spaces on the street. For my full write up about the owners and their concept click here. What to know: A true community hub, Gratitude Coffee is one of our first mobile coffee trucks to find a permanent home on the streets of College Park. Her cold brew is popular, as is her lavender and rose cardamom lattes. The real draw besides the coffee is Jen herself. It doesn't get more down-to-earth and lovable than her. If you are looking for a much needed dose of positive vibes in your day, she gives generously. You can read her full story here. 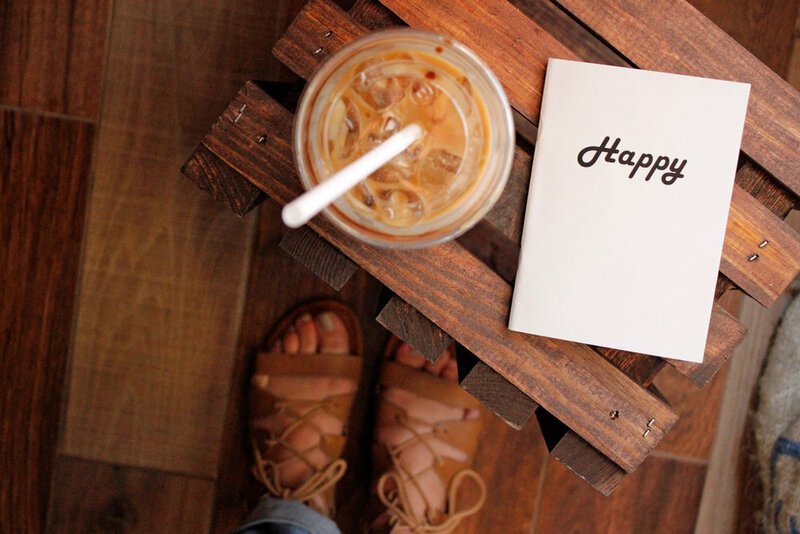 What to know: Even though 90% of their menu is tea, coffee lovers should absolutely try their iced coffee drinks. My favorite at the moment is the Mousse Coffee. The coffee is creamy and sweet and the mousse on top adds a hint of salty goodness. What to know: Matt and April started their coffee adventure this year, popping up under a tent on Orange Blossom Trail in Lockhart. They use Lineage Coffee and sling all types of hot an iced drinks along with monthly seasonal specials. For now, catch them early, before 10:30 a.m. until further notice. What to know: Piccolo is owned by a wife and husband duo that have been living the pop-up life for well over a year now. The good news is they have a more permanent place inside of the newest breakfast spot in Winter Garden, Egg & Oats. I really, really, love their coffee and their hospitable spirit. Make sure you visit their coffee counter in Winter Garden very soon! What to know: Once slaves to the pop-up life, Mercantile now has a somewhat permanent counter inside the Heavy in Winter Park. What to know: Located off W. Colonial in Winter Garden The Breakroom is a huge space that is often pretty quiet and low key to get work done while you sip a coffee or tea. For freelancers, you'd have minimal distractions here, and probably 0 to 1 hipster photo shoots. What to know: About a year old in downtown Winter Garden, this is the second location for Rosallie. With another cafe in Vegas, this french inspired menu offers freshly baked goods and a wide variety of coffees. This isn't a shop I'd personally bring a laptop to set up shop, but they have a decent variety of drinks to grab and go. Pro Tip: The flavored lattes are sweet so ask for less syrup if you don't like overly sweetened drinks. 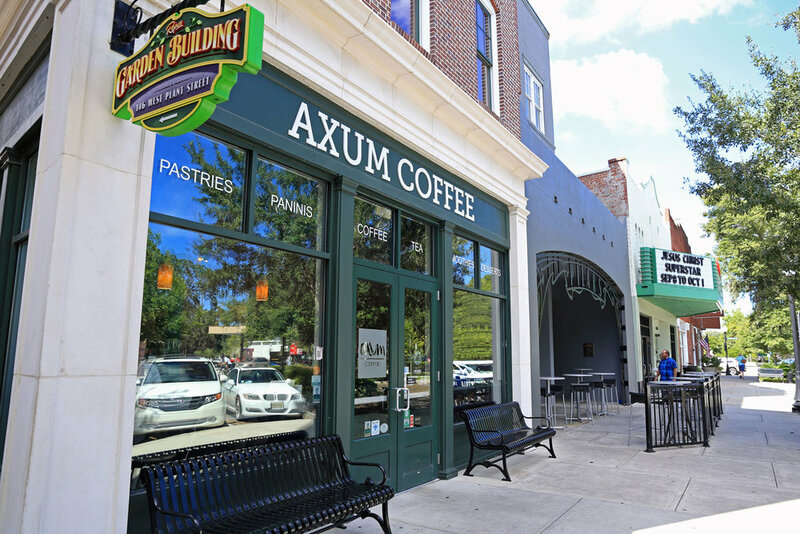 What to know: Axum is a staple of Downtown Winter Garden as a busy hub of laptops and locals. They do offer some food, but honestly I normally steer clear of their pastry case and grab a bite at Plant Street Market where they also have a counter. If you've ever visited the Cat Cafe in Clermont, the shop there is also run by Axum. What to know: This Brazilian owned coffee shop is slightly hidden at the bottom of a large office building in Dr. Phillips, but it's worth finding. They have a sandwich and salad menu along with pastries, so you have sustenance if you choose to stay awhile. The seating is mainly one communal table and a few others that are in pretty close proximity to each other, so wear your deodorant. What to know: It’s located in downtown Windermere and owned by a local family. It's not a huge shop, so seating is limited, but they are open a good portion of the day, so you shouldn't have difficulty spending some time here without feeling like a seat hog. They’ve also added a back patio with additional seating for cooler Florida days. What to know: While Vespr sits quietly over on the East side of town they have one of the most impressive craft cocktail menus that continues to change. They just announced new drinks on their Instagram this week. If that isn’t your jam, you can go grab a classic vanilla latte that still allows you to taste the espresso. Seating can be a challenge, as it's usually filled to the brim with UCF kids. It’s still one of my favorite spots seats or no seats. Favorite Drink: It literally is always changing, everything is so good. What to know: Lineage FINALLY opened their second location this year off E. Colonial. It’s a beautiful space that I never get pictures of, but take my word for it if you haven’t been. There is ample parking and Buttermilk treats to feast on. Of course they still have their coffee counter inside the East End Market as well. The coffee never disappoints even if I never feel quite cool enough to hang there. What to know: One of the only independently run coffee shops in the area Trilogy serves a solid cup of coffee, although my service has definitely been mixed. No reason to not go give them a try tho. The shop has a clean and simple vibe and they sell some merchandise sourced by a few local makers as well. Definitely somewhere you should check out when you are in Deland. What to know: It’s clean and sleek, and home to the very popular, and only, coffee window in Orlando. New General uses Lineage coffee for their brews which you can order with seasonal toasts and other items on their cafe menu. They recently started serving matcha from TeBella over from the West coast. What to know: Specializing in Colombian coffee, this small shop in Winter Park has always had an empty, quiet, almost forgotten vibe when I've visited. Which isn't a bad thing if you are looking for a place to work. I can't say the drinks ever made me want to run back, but it certainly has a prime location off New England Avenue. They also just added a second location downtown in the 55 West building. What to know: A more alternative scene for college students and those who don't wish to follow the pretty hipster coffee trend. Not a regular spot for me, but a popular spot with open mic nights and other live events. What to know: Credo now has three locations within a close proximity to each other. I still enjoy their seasonal extracts like Orange, Almond and Lavender added to my lattes. The College Park location also serves as an affordable event space for the community to rent when other venues are just too pricey. 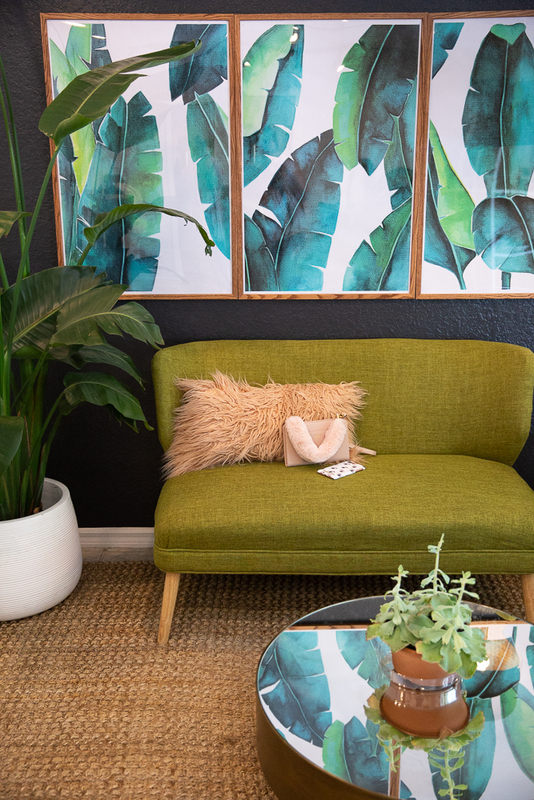 What to know: Well, Foxtail is officially everywhere, so it’s becoming a neighborhood hang in seemingly every neighborhood. Except Apopka. New locations have opened by UCF and SODO with Lee Road, College Park and Downtown locations looming. Love em or hate em (why would anyone hate a coffee company) they are here and you don’t have to go there if you don’t want too. What to know: One of the good things Oviedo has to offer is Duo 58. 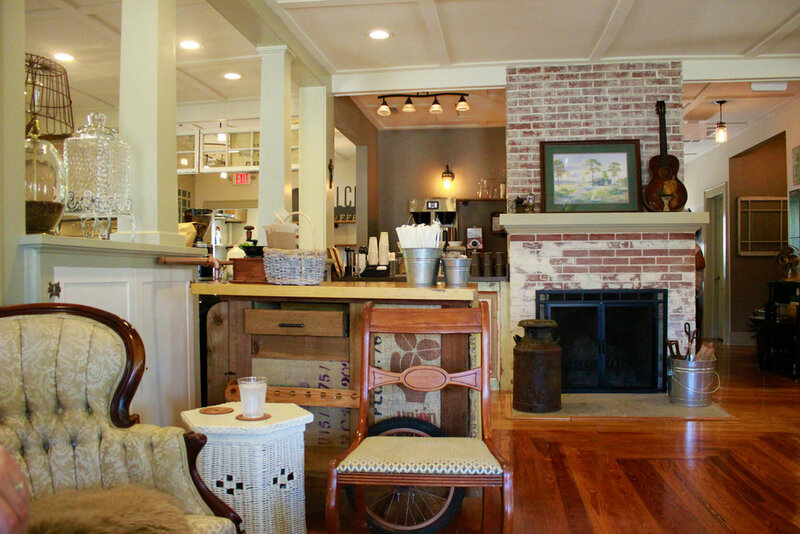 This is a very cozy and intimate coffee house with few distractions and friendly baristas. They are a non-profit that focuses on charitable efforts for the children of Haiti. They also have Waffle Wednesdays! I'm just waiting for them to marry that idea with a "Dress like Leslie Knope day". What to know: This salon/coffee counter is out in Lake Nona, so it’s not in my regular rotation. What’s good is that they use Lineage coffee, so if you find yourself out in that part of the world you are pretty much assured a good cup of coffee. Chances of a photo shoot happening while you are there is 100%. What to know: If you are further north in Lake Mary, you can still get Lineage coffee over at the Cozee Cafe. They also are a full service cafe, with a scratch kitchen menu and some beautiful breakfast spreads. What to know: A quiet shop in downtown Sanford run by mainly volunteers. Profits go to help abolish modern day slavery and human trafficking. Not a frequency visited spot for me but I’ve had some good iced lattes and grabbed a few local donuts from Donuts 2 Go. What to know: I’ll level with you, I haven’t been to visit this shop yet because it’s an hour from my house, and work definitely gets in the way of 2 hour coffee adventures, BUT if you live near by you should go check it out. Made to order doughnuts are great on their own, but if you need a caffeine fix Little Blue uses Kahwa coffee from St. Petersburg. 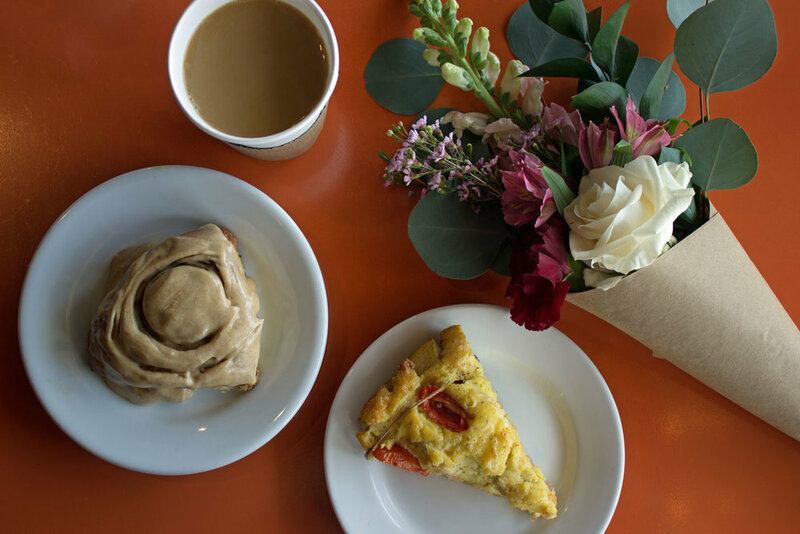 If you love Stumptown Coffee, P is for Pie brews it up fresh in their bakery. No fancy lattes here, but honestly, all you need is a solid cup of joe because the baked goods do all the heavy lifting. You don't have to live the Vegan lifestyle to enjoy the Sanctum. They have a coffee menu that includes cold brew, matcha, and the golden turmeric latte seen below. Their expanded space is perfect for getting some work done without feeling like a bum taking up space in a restaurant. Unrelated to coffee, their #6 smoothie could potentially bankrupt me. Check it. Ah, the beautiful chaos that is Stardust. Cleanliness aside, I've never had a bad iced latte. It's also the home to the popular Monday night Aubudon Farmer's Market. Use the bathroom at your own risk. Yes, I know Briarpatch is not a coffee house, but there is one thing you need to know. They brew La Colombe coffee, so that is an important tidbit to keep in mind when placing your beverage orders. No one should need any additional reason to visit the best bakery in town. However, if you are a coffee lover, and lazy; kill two birds with one cup of joe and head to Buttermilk. They serve Lineage coffee. They do not have an espresso machine, so either brewed coffee or cold brew here. I've had a few meetups at Drunken Monkey over the years, and despite never really loving their coffee, the place is always packed. It's a pretty beloved spot from what I can gather, so I wouldn't let my taste buds keep you from it. If anyone in my crew suggests it, now I just get a tea and sometimes a snack. They cater heavily to vegans, and they host open mic and comedy nights on a regular basis. 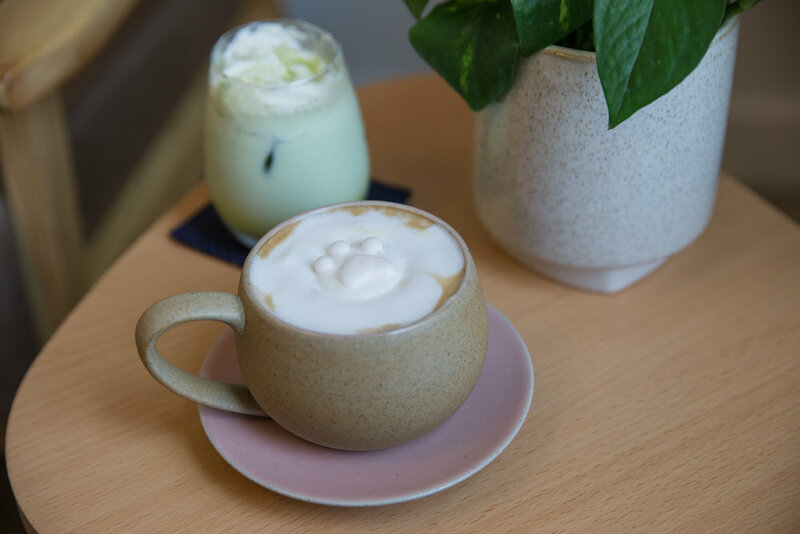 Ice and Bites isn't a coffee house, but you can get some interesting treats here with espresso, like the affogato pictured below served with your choice of ice cream and a huge cotton candy cloud. However, I've driven across town to try an item that was posted on their social media only to be told they don't have it, so I would call before you make the trek. Some people may not know that Barnie's actually started back in the 80's right here in Orlando. 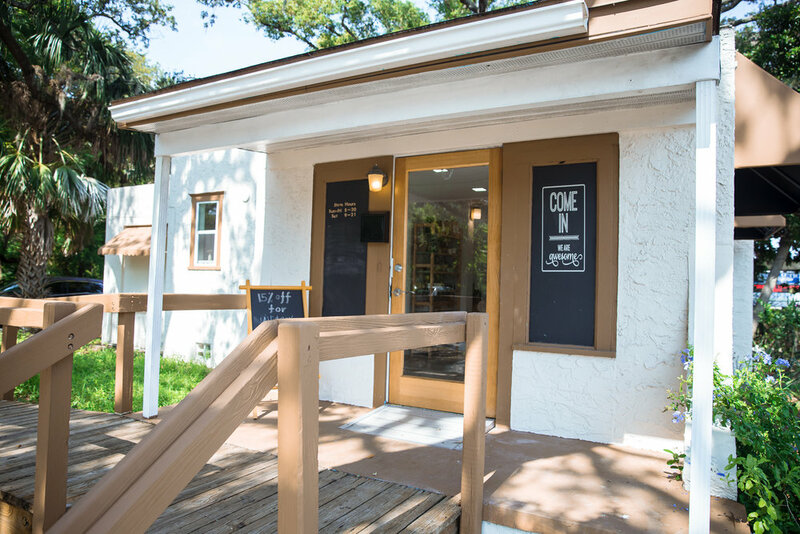 Now, their only cafe is right here in Winter Park serving up drinks and breakfast, lunch, and brunch. I love their Turkish latte. Grab a cafe con leche here with some quesitos and you have a LemonHearted approved Cuban breakfast. What to know: There is not much local coffee in Melbourne, it appears they are still running on Dunkin. However, I did find Anaya Coffee in the Eau Gallie Arts District. It is small on the inside, but they have a pretty spacious back patio. They have a small menu, including vegetarian options, and I had an iced Mexican mocha latte that was on point. 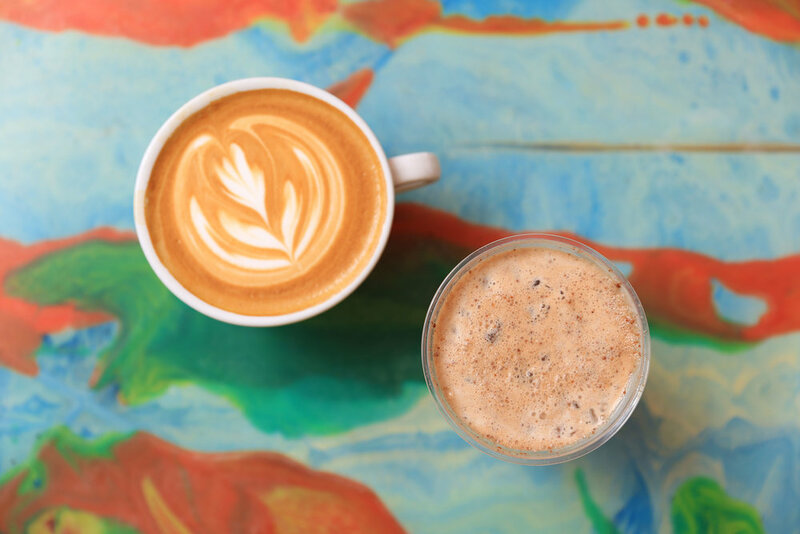 What to know: Located in the Heights Public Market you will find the one and only coffee bar run by Commune + Co. If the bar is full, no need to worry, there is plenty of seating all around the market to enjoy your drink. What to know: You can sit and enjoy a meal at the Hall on Franklin and add a coffee to your order, or you can walk up to their open coffee bar and grab something to go. They also have an assortment of teas, signature sodas, and hot chocolate. What to know: There is plenty of space over at Foundation Coffee in Tampa, not to mention a beautiful expansive covered patio in the back. When I visited I did not try their coffee, but I did enjoy their chai latte. Note that they are closed on Sundays. 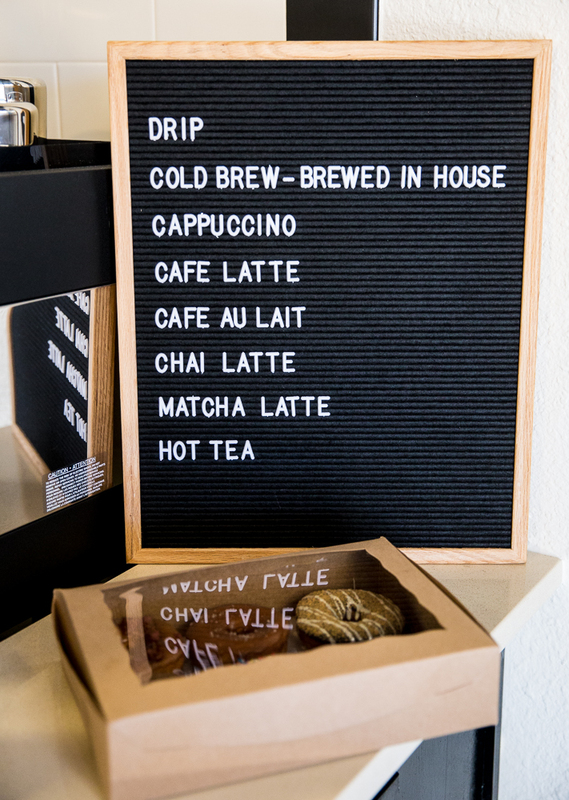 What to know: Now with two locations in Tampa, Caffeine has great design, but more importantly one of the smoothest vanilla lattes I've gotten over on the West Coast of Florida. What to know: This bakery has some seriously craveable goods made by their in-house baker, but the coffee is not to be missed. It's not a large space, so it may not be your first spot to sit and set up camp, but it's worth a pit stop. It's also another spot with very friendly baristas who are happy to give you their favorite Tampa hot spots if you aren't a local. What to know: I've always had hopes that Buddy Brew would come east towards Orlando, because their vanilla iced latte is so good. I don't think that will ever happen, but they have 6 locations including the bar inside the Oxford Exchange, so there is no reason to miss them when you travel west. What to know: A truly beautifully crisp and minimal spot in Lakeland, Concord has never disappointed me with drinks or service. It is also teasingly close to Born and Bread, so if you go on a Saturday make sure to hit up both spots. 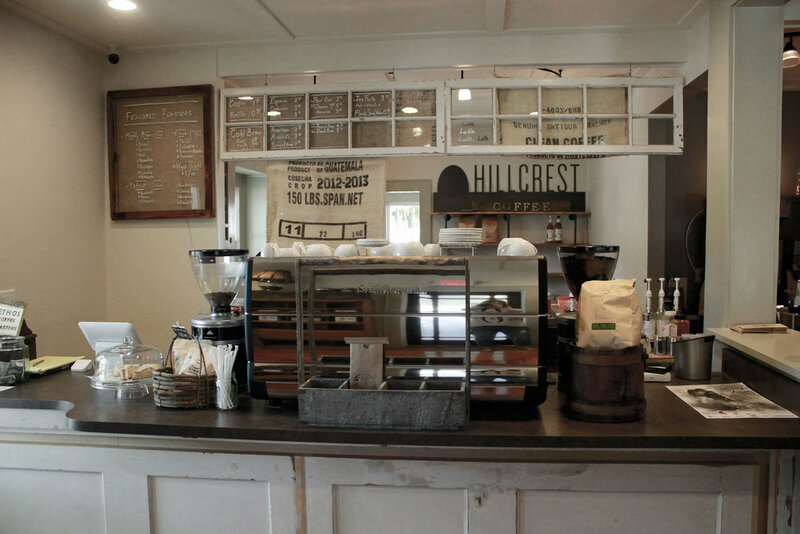 What to know: Cozy doesn't begin to describe Hillcrest Coffee, where the owner literally transformed and updated a 92-year-old house in the historic Dixieland neighborhood of Lakeland. You can enjoy locally roasted Patriot Coffee Roasters, play some board games, or pop open your laptop and get some work done. What to know: I love visiting St. Pete just to visit Bandit. They are the rare perfect coffee trifecta. Amazingly good coffee, personable and friendly staff who know how to construct sentences and don't intimidate you, and a beautiful space. I would love to see Bandit in Orlando. What to know: Coffee in the morning, cocktails at night, and... oysters?! 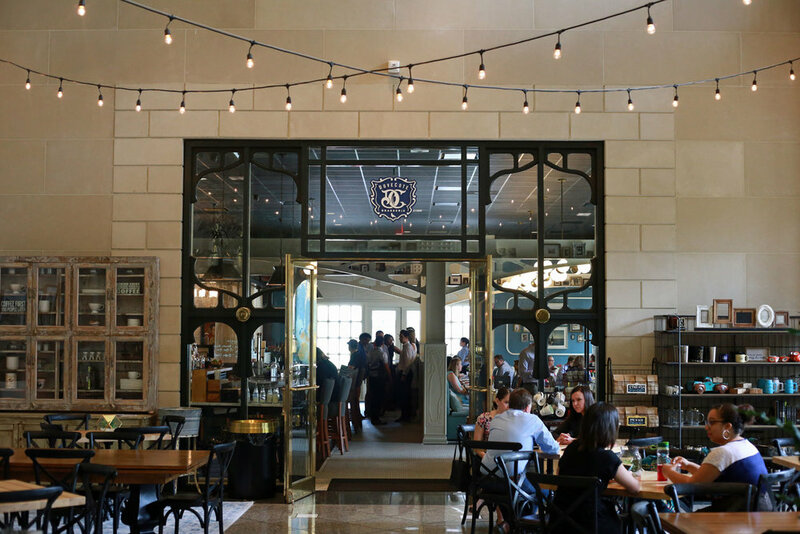 Yes, you can go to Intermezzo anytime and find something to enjoy in their beautiful space on the main drag of Central Avenue in downtown St. Petersburg. What to know: The journey for Vagabond began in a vintage camper, so all you mobile coffee peeps, don't give up hope. Their cafe in historic Murray Hill is hip without being hipster. An in-house baker provides the goods, and the coffee is delicious. What to know: With three locations and a roastery in Jacksonville, Bold Bean should be on any coffee scouting you do on a day trip. After getting caught soaking wet in a brief Florida downpour, their chai latte warmed me right back up. 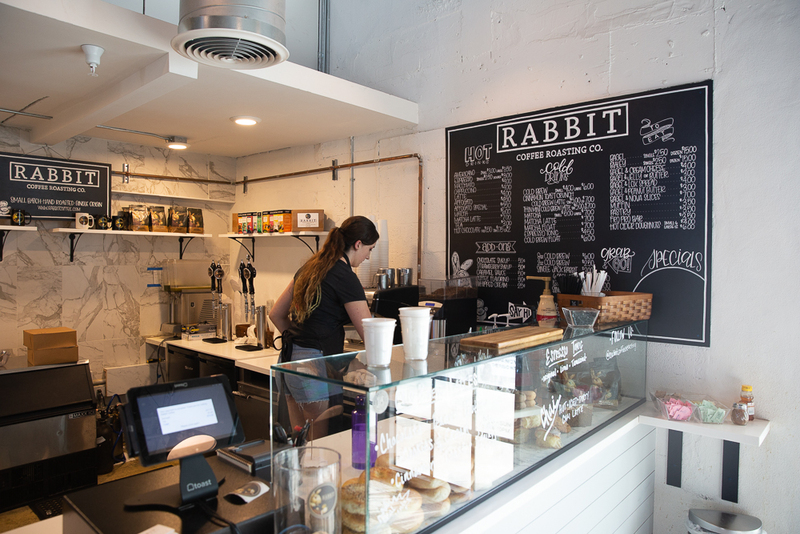 What to know: You’ll find this coffee counter inside the Grandview Public Market. You can actually find their beans all over Florida. Beyond basic coffee drinks they have fun flavors like thin mint lavender! What to know: It's a popular spot, being both in a busy area on Clematis Street and having a gorgeous mural in their courtyard. 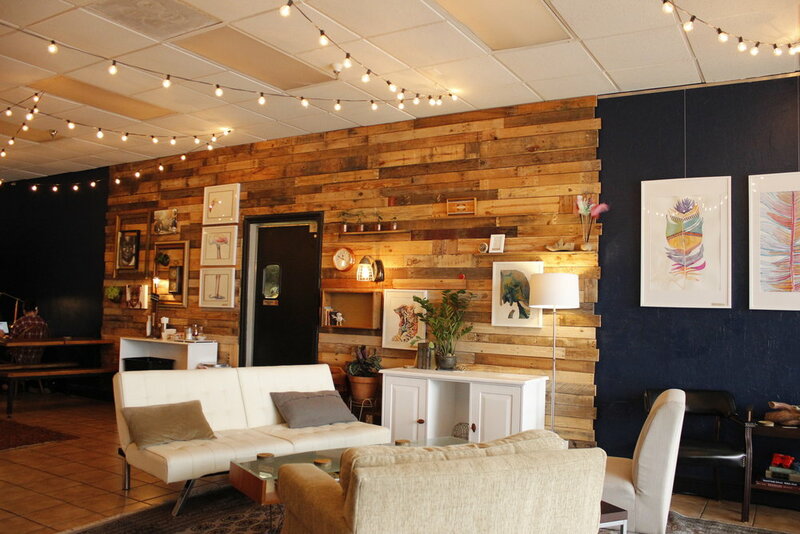 Despite other coffee shops coming into the area, Subculture still attracts large crowds. What to know: On a quiet Saturday morning the cafe was half full but still a peaceful place to sit and enjoy a delicious almond croissant and a very grand looking overnight oats with coffee. There is much more to the menu than sweets, so you can visit anytime of day. I would definitely stop by when in town. 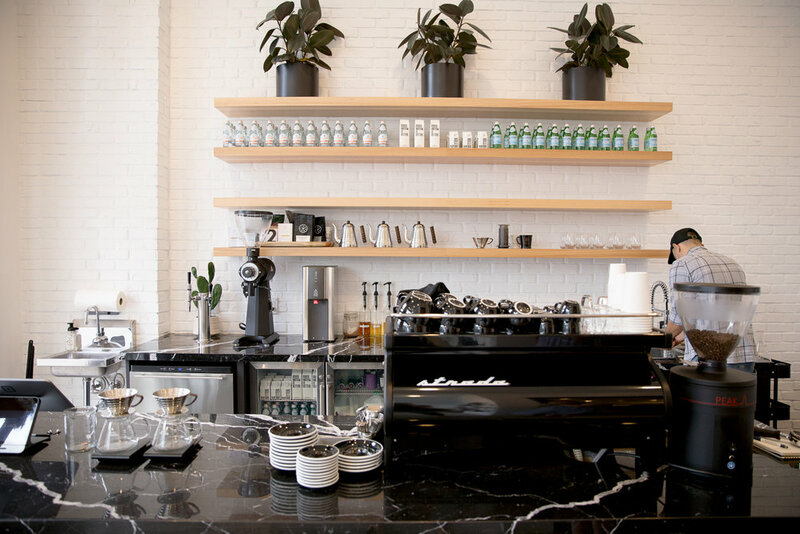 What to know: Everything is well designed and carefully selected down to the gold flatware, but truly the coffee could be served in a recycled paper cup out of their coffee window, and it would still be amazing. It was voted "Coffee Shop of the Year" in 2016 by Eater, and it's clear to see why. The most wonderful iced latte I've had in recent memory, a delicious, locally sourced breakfast, and lots of Miami eye candy. 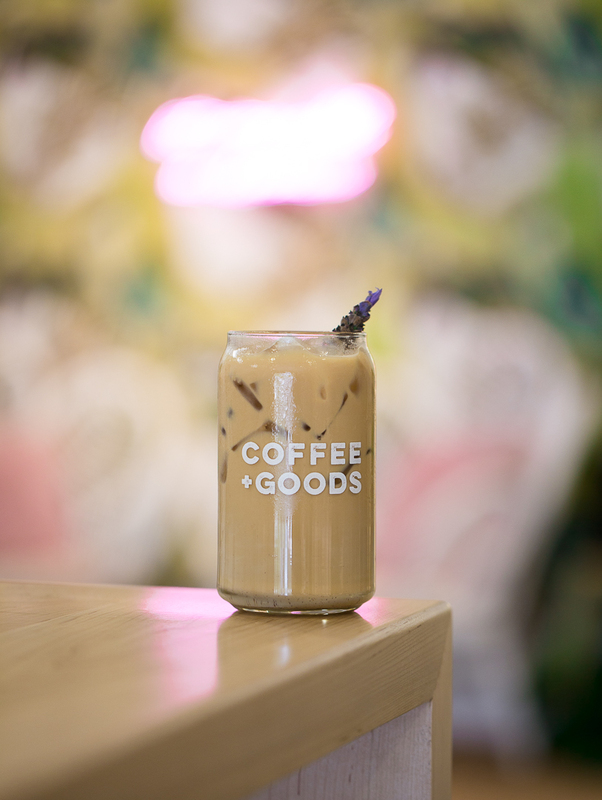 What to know: Paint some colorful murals, strategically place large fans, and concoct some cold brew recipes and you have Box Coffee in Wynwood. It's just too hot outside to drink a hot cofffe, so at Box Coffee they only serve cold brew based drinks. What to know: Located in one of the more photographed walls in Wynwood you will find MIAM, a casual and not overly cool coffee shop. They also have breakfast, lunch, and brunch menus to check out. They did not have decaf when I visited them in the late afternoon, but their chai was a great back up. 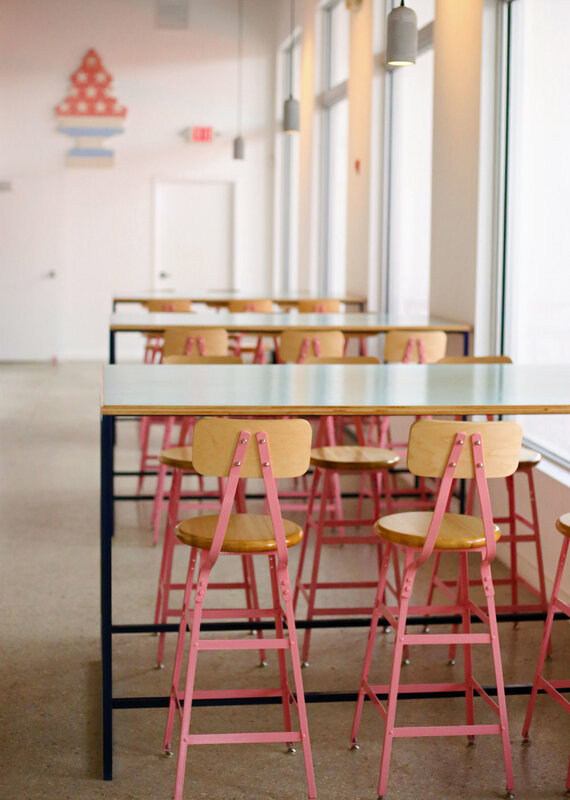 What to know: Located in the design district in Miami, OTL has a limited but delicious menu, pops of pink and teal, and perfect lattes. No seriously, the lattes were so good. All coffee shops were personally visited by me, all pictures are mine (unless otherwise stated) and all coffee was paid for by me. I don't ask for free anything and neither should you.